When you pick-up that fresh, fresh Pixel 3 or Pixel 3 XL in October, you should expect the new Android Pie gesture navigation to be on, by default, out of the box. Gesture navigation is the future for Google, according to Android and Pixel’s UX manager, EK Chung. Chung spoke with Android Central for the launch of Android Pie and shared some thoughts on the new navigation, how people have reacted to it, and what the plans are for it going forward. Chung said that part of the reason they decided to introduce this new style of navigation for the first time in years is because people not on Android who switch, are “puzzled by it,” while also acknowledging that current Android users totally get it. I honestly hope that isn’t the reason they made this change, because this is Android, not iOS. Of course it’ll take some getting used to for switchers, but that’s just part of the deal with switching from one OS to a new one. There are going to be differences. Things won’t be like iOS, which is probably partly why people are switching – because they want to be done with iOS. That’s a very odd take on making such a radical change to Android. Either way, Chung noted that they were surprised by early reactions from “normal” consumers who tested the new navigation. 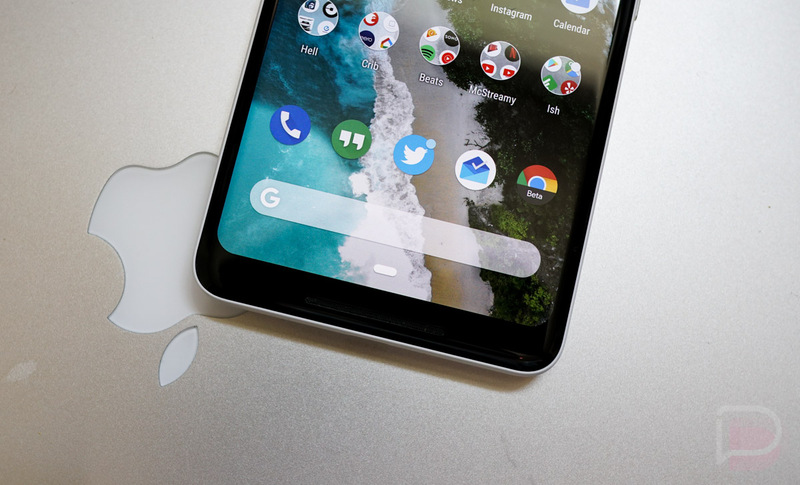 Google’s data showed that the older 3-button nav’s app switcher button was rarely used (which I believe), but that these testers quickly picked up the new sliding app switcher gesture. And going forward, the plan is for phones running Android Pie out of the box, like the Pixel 3 and Pixel 3 XL, to default to this new gesture navigation. That won’t necessarily mean the old 3-button style will be completely gone, but you also shouldn’t be surprised if it is on the new Pixel phones. Chung wouldn’t confirm that gestures will be the only option there and also acknowledged that they’ll let other manufacturers decide what they want to use, even if that means their own gestures, as you’ll see in the video below from companies like OnePlus and Motorola. So to recap, Google completely switched up Android’s navigation to a gesture approach that matches up to Apple’s on iOS because they didn’t want there to be confusion when people switched over. However, they aren’t going to enforce this new gesture navigation onto partners, so every single phone maker will have their own version. Talk about confusion.